For the Communist Party, the political calculus is daunting. Reining in economic growth to alleviate pollution may seem logical, but the country's authoritarian system is addicted to fast growth. 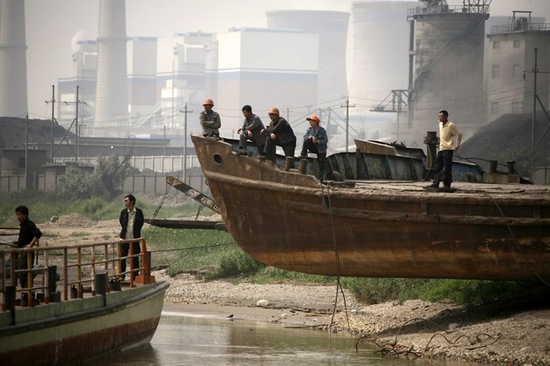 Delivering prosperity placates the public, provides spoils for well-connected officials and forestalls demands for political change. A major slowdown could incite social unrest, alienate business interests and threaten the party's rule. China's authoritarian system has repeatedly proved its ability to suppress political threats to Communist Party rule. 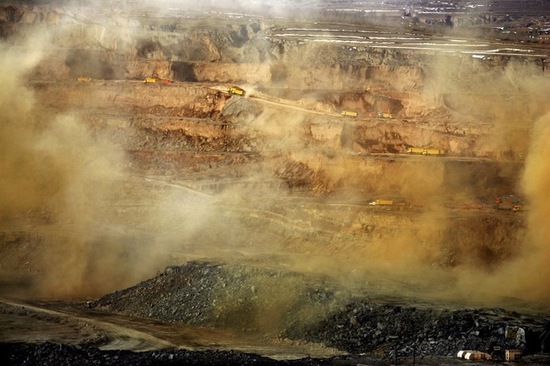 But its failure to realize its avowed goals of balancing economic growth and environmental protection is a sign that the country's environmental problems are at least partly systemic, many experts and some government officials say. 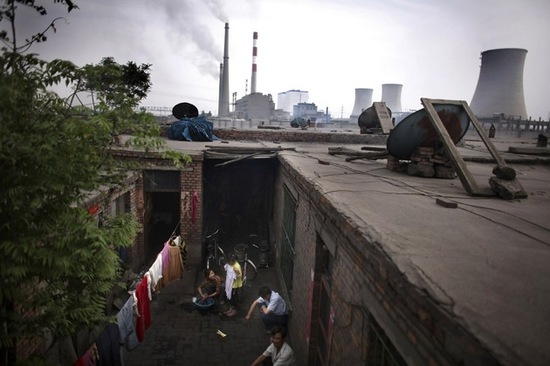 China cannot go green, in other words, without political change. A worker pauses to shield his eyes while moving coal in Ningxia Province. 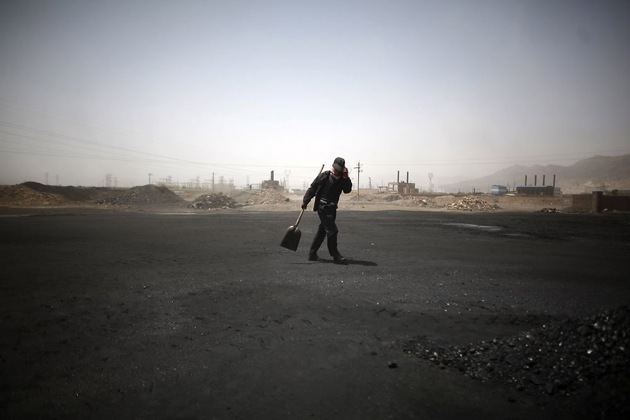 Smoke rises over a coal mine near Pingru in Shanxi Province. 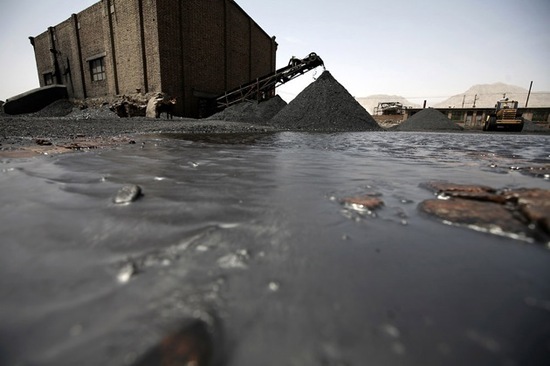 Water filled with coat dust at a coal company in Ningxia Province. 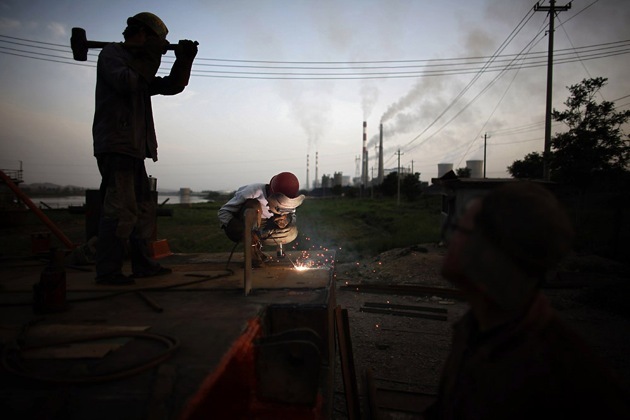 Migrant workers construct part of a bridge that will connect Ningxia and Inner Mongolia. 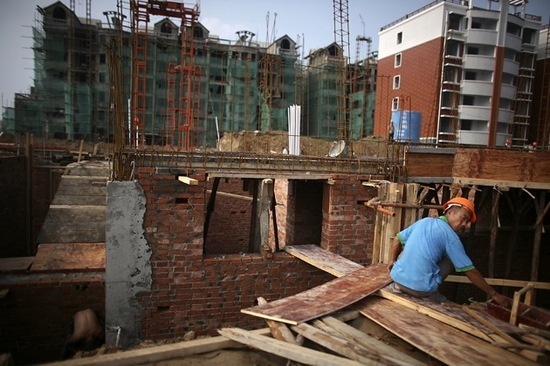 Construction in Bai Sha Town in Henan Province. 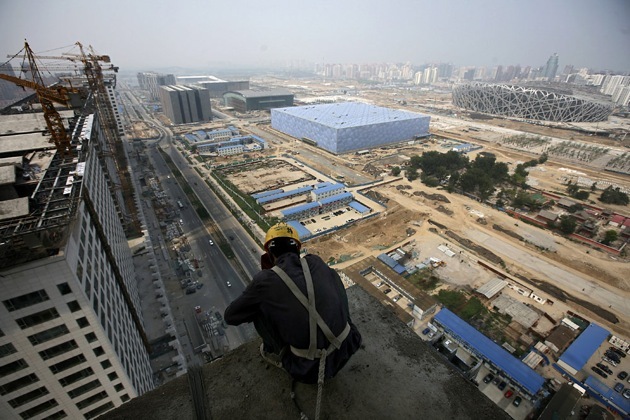 Construction for the 2008 Olympics in Beijing, where official are trying to reduce air pollution. 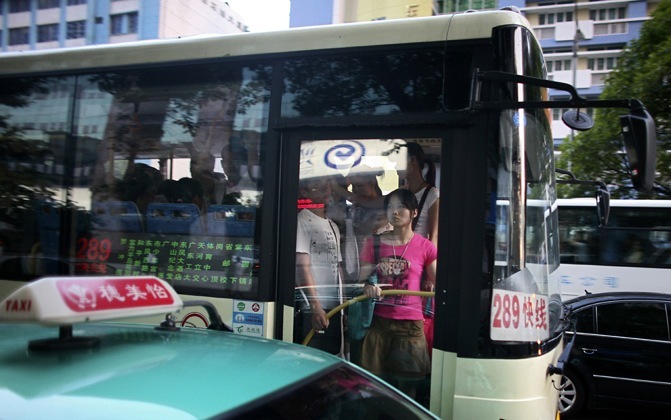 Traffic in Guangzhou. 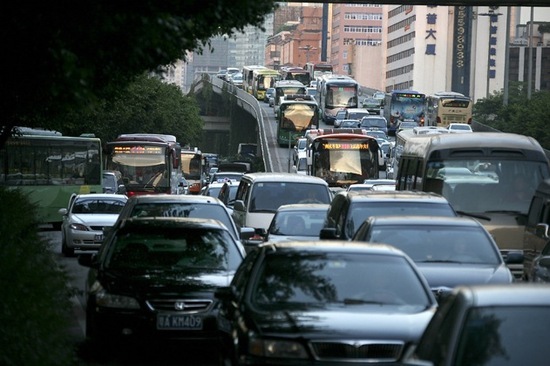 Expanding car ownership has played a major role in China's pollution problem. Only 1 percent of China's 560 million urban dwellers breathes air considered safe by the European Union. This family of migrants moved to Ningxia Province from Inner Mongolia so that the father could work at a nearby factory. 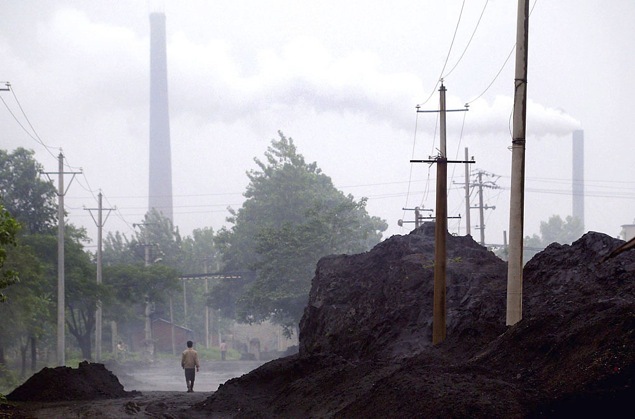 A cloud of exhaust at a coal-fired steel factory in Shanxi Province. 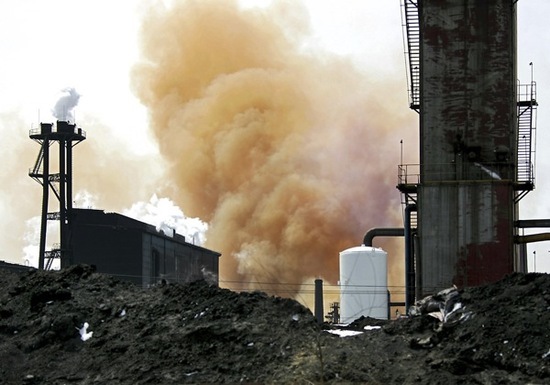 At a facility like this, smoke of any color other than white is toxic. A worker moves bags of cement at a factory in Ningxia. 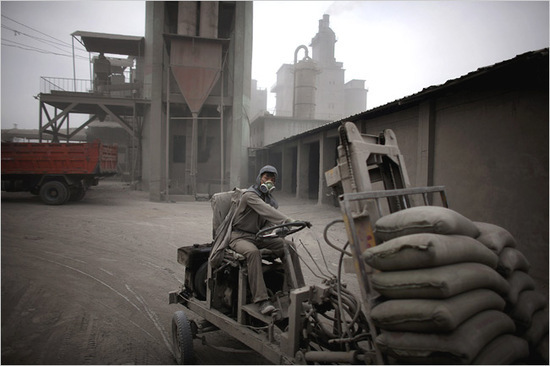 China now produces half of the world's cement and flat glass. 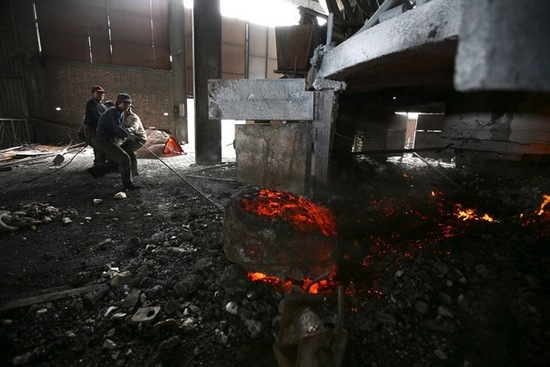 Workers at Shuizuishan Tianhe Ferroalloy Company produce a silicon steel alloy in Ningxia. Construction of a floating bridge will allow more traffic between Inner Mongolia and Ningxia's steel and power plants. 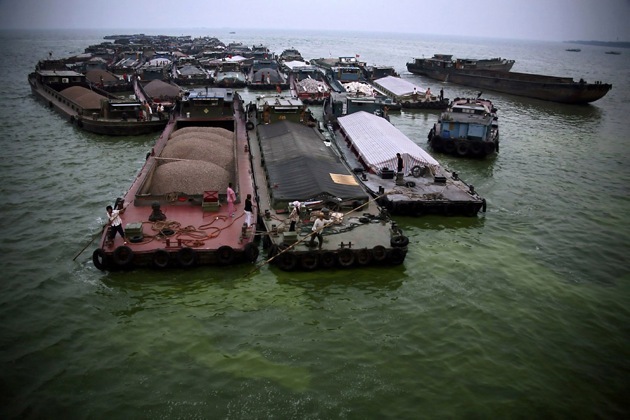 Pollution and algae blooms caused by runoff have poisoned China's lakes. Boats wait to pass through Zhihugang Gate, which give them access to the Yangtze River. Mine workers move coal to be processed in Shenmu, which is one of the biggest coal-producing cities in China. 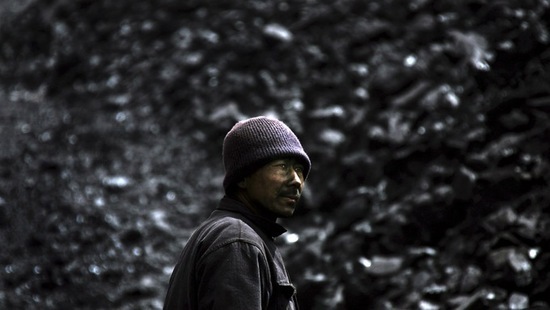 A man stands before a vast pile of coal at a mine near Shangmahuangtou, in Shanxi. 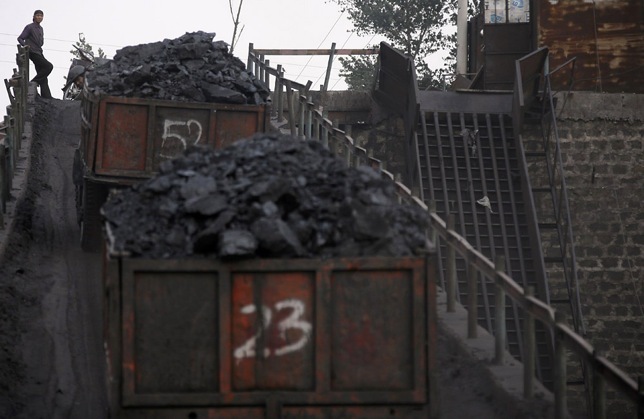 Piles of coal in Xiangcheng, in Henan Province, which will supply the area's power plant. 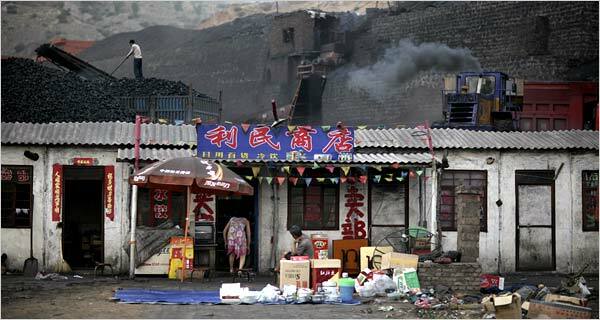 Trucks move in and out of the Wujiata coal mine in Shenmu. 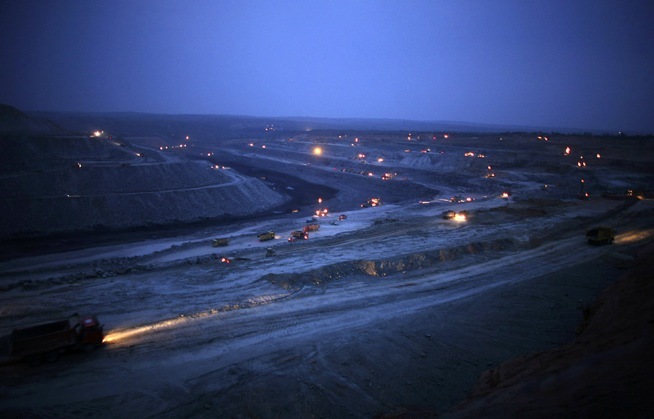 One of the largest mines in China, it operates 24 hours a day. so ,you look a little bit unhappy to see my words.please keep all different voices!do you understand this is also the human rights? you look so pessimism to face all our country's current problems. So surprise to know you are a Dr.. Actually, calling to become an expert to handle all kinds of cases.Please tell me: behind your sigh,have you got any good idear to tell us ? Sure!We don't have to be pessimistic about the future of our country.Of course,we also need to come up with more feasible solutions.Don't complain a lot.Don't take time to complain.Complaining can not solve any problems. 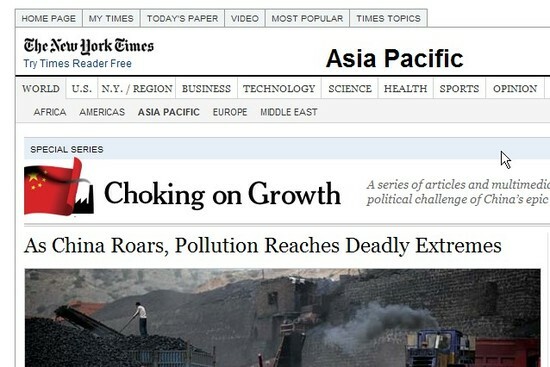 no,complain can do a lot, it just extraordinary not enough here in china, need more. 呵呵, 很好笑! 不知道仁兄敢不敢喝碗煤炭水, 敢不敢跳入煤炭河游泳. 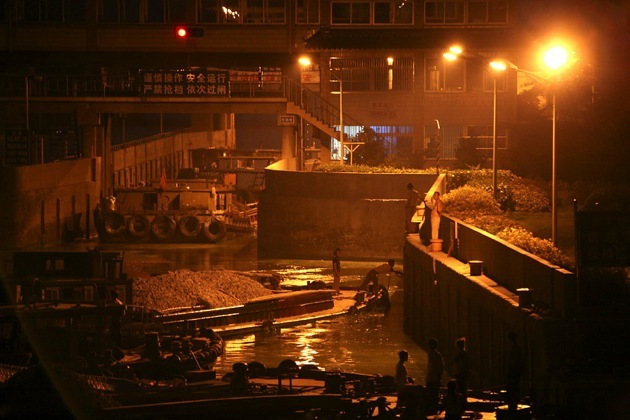 不知道仁兄知道不知道太湖蓝藻爆发时, 无锡人不敢喝自来水, 不敢洗澡. 时至今日, 无锡人仍然不敢饮用自来水. 没有极限, 与天斗, 与地斗, 与人斗, 其乐无穷! 完完! 大家好，不知道这篇文章的报道数据是否确凿属实！！如果是，那么中国的污染确实已经到了极致！既然污染已经如此严重，以上诸位也给了这篇文章的很多的评论。但是，能否思考一下，作者到底是以什么样的动机和角度写了这篇报道？我们作为中国人每一个个体应该怎样去面对这个问题？假设一个从没有到过中国的外国人，看了此报道？问我们：Oh god,really? Is it true?? ?，我们此时如何回答？？难道只是抱怨，抱怨作者的用词，抱怨中国政府的体制？？？除此之外呢？？？we should react! how to react?